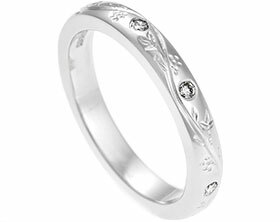 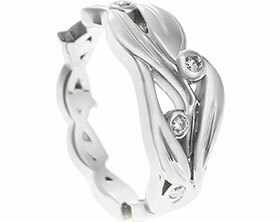 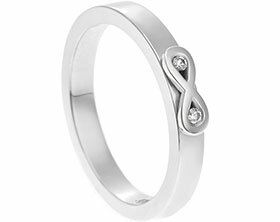 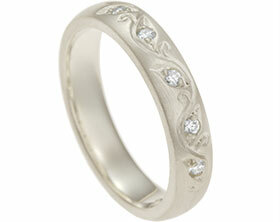 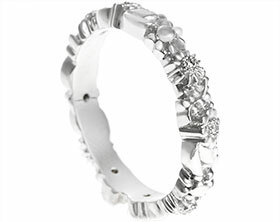 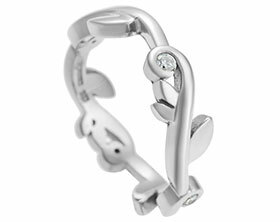 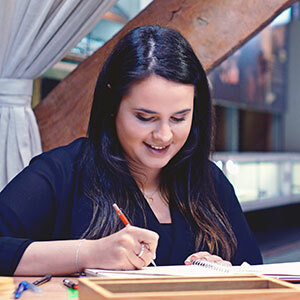 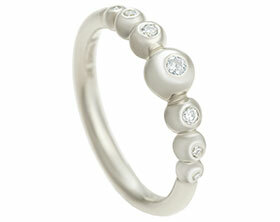 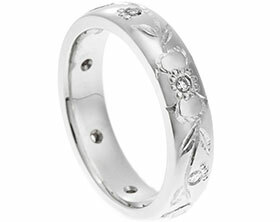 Inspired by aboriginal dot paintings, this ring has been hand worked in Fairtrade 9 carat white gold. 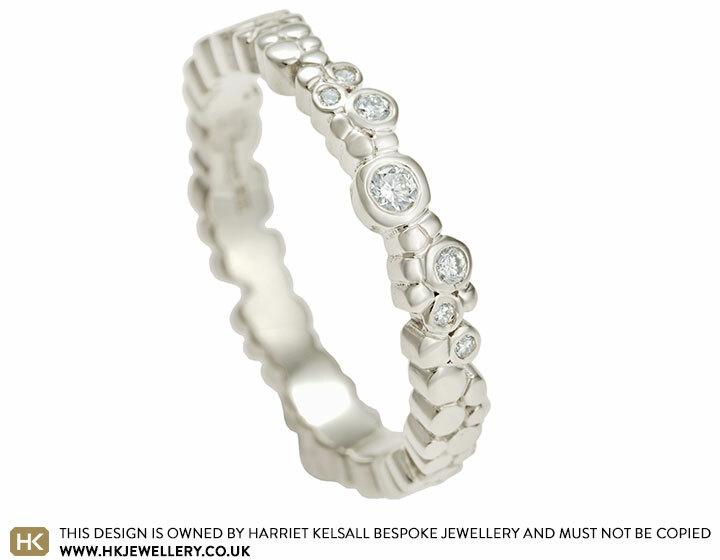 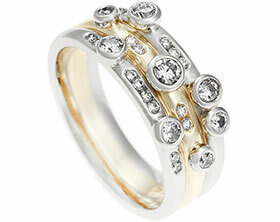 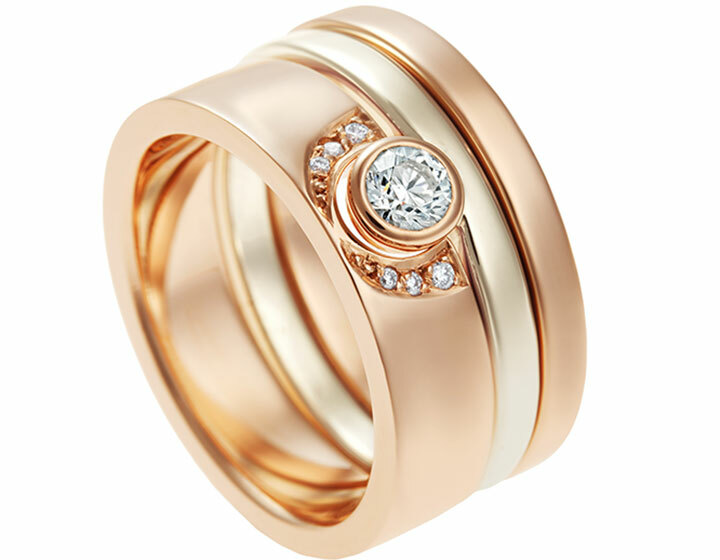 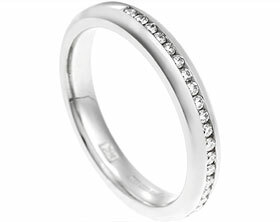 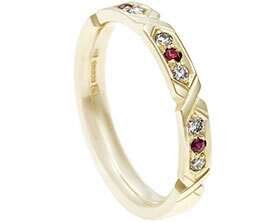 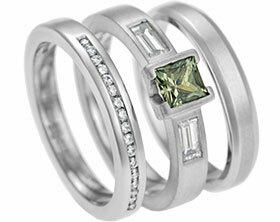 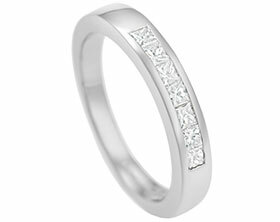 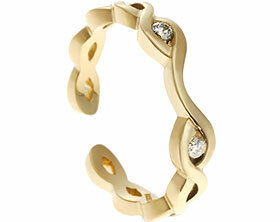 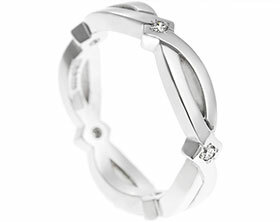 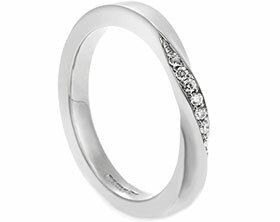 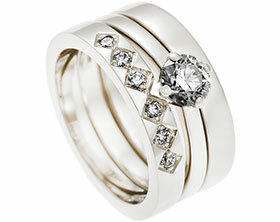 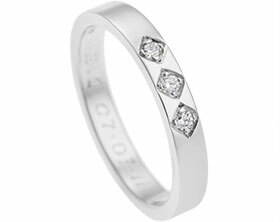 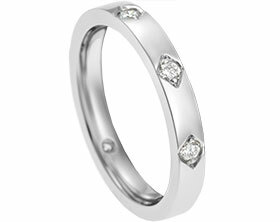 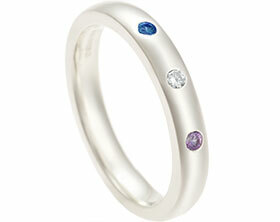 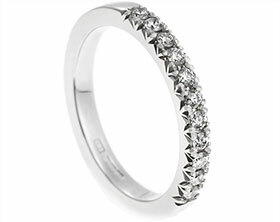 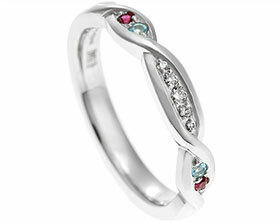 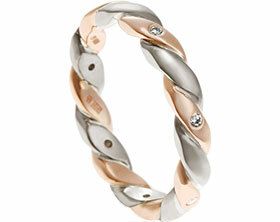 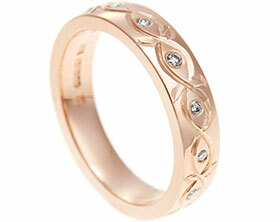 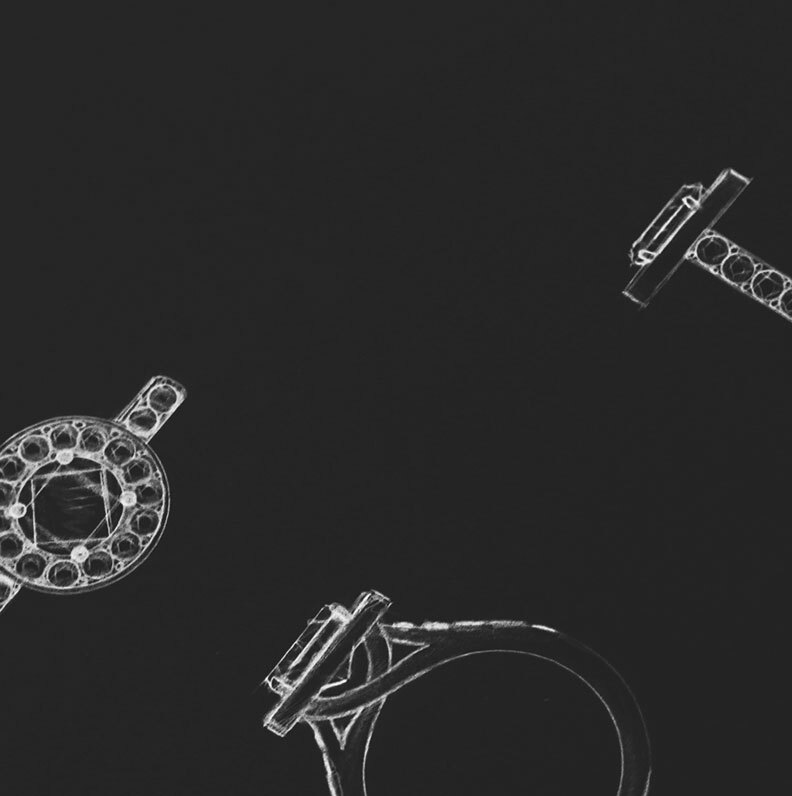 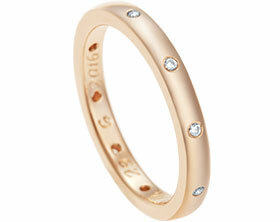 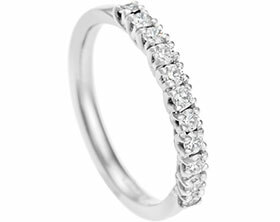 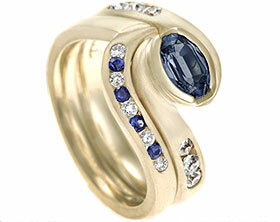 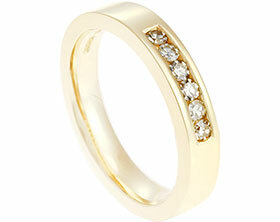 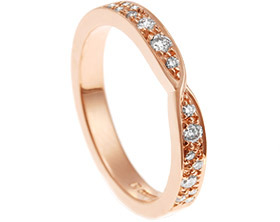 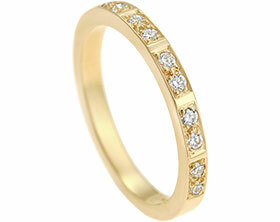 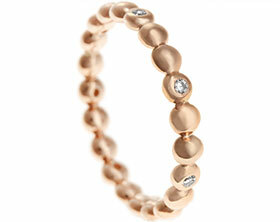 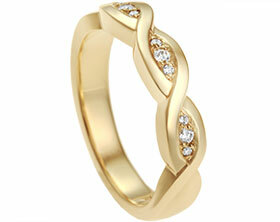 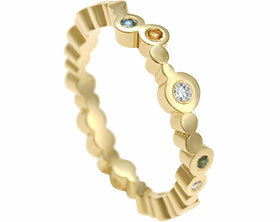 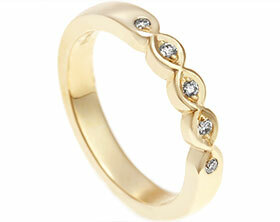 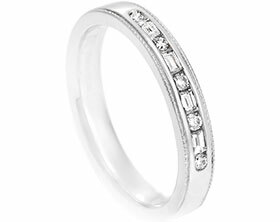 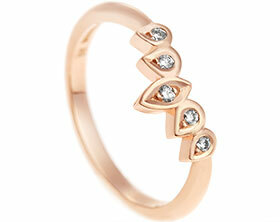 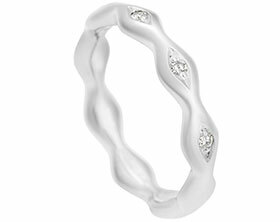 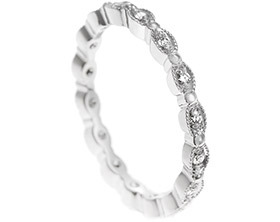 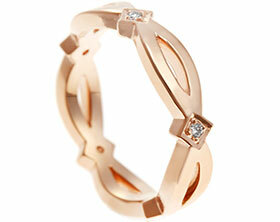 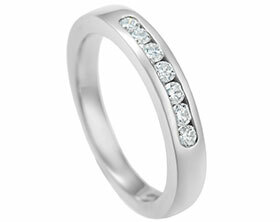 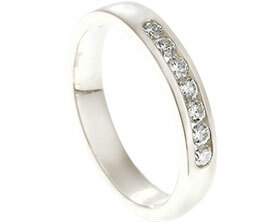 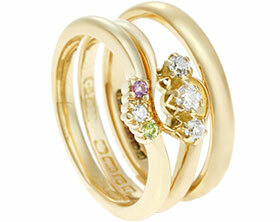 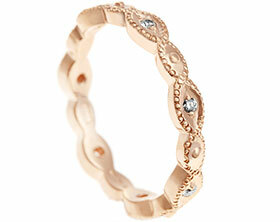 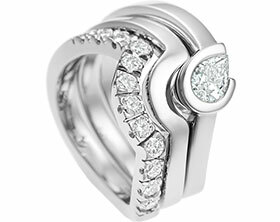 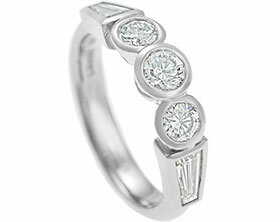 Invisibly set within the band is one 2mm, two 1.5mm and four 1mm brilliant cut G-H VS1-2 diamonds (0.13ct). 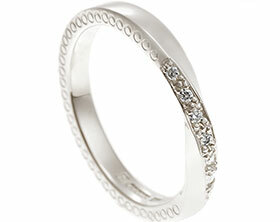 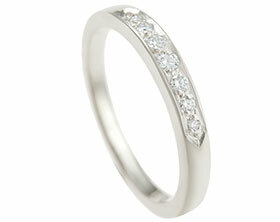 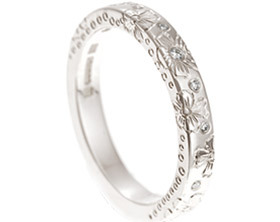 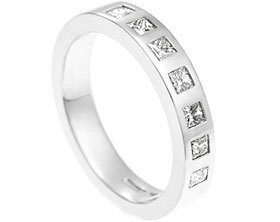 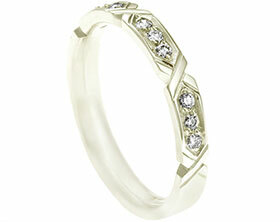 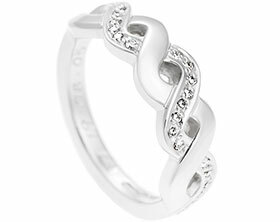 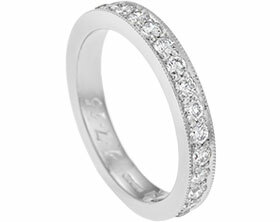 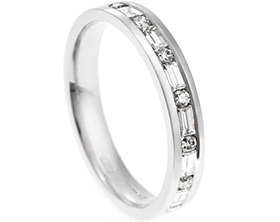 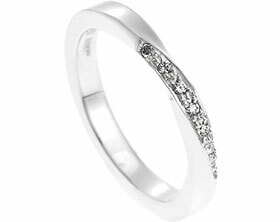 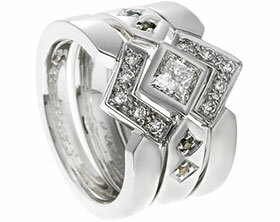 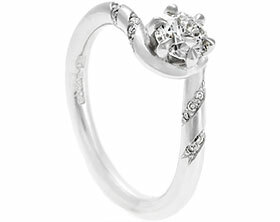 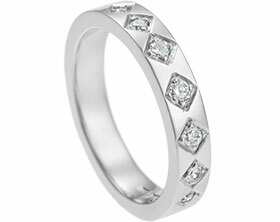 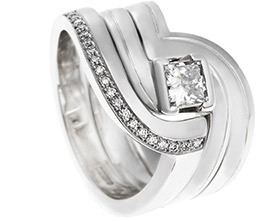 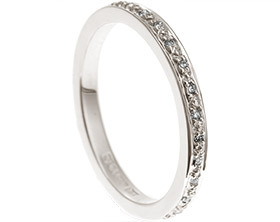 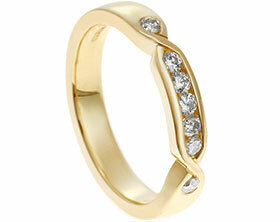 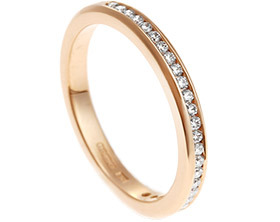 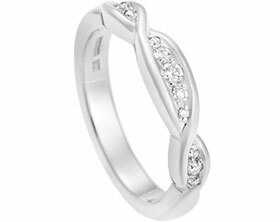 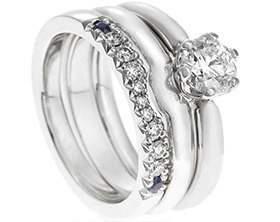 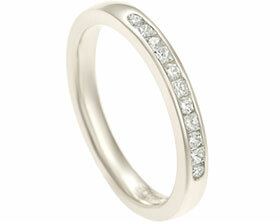 A highly polished finish enhances the bright white of the diamonds.